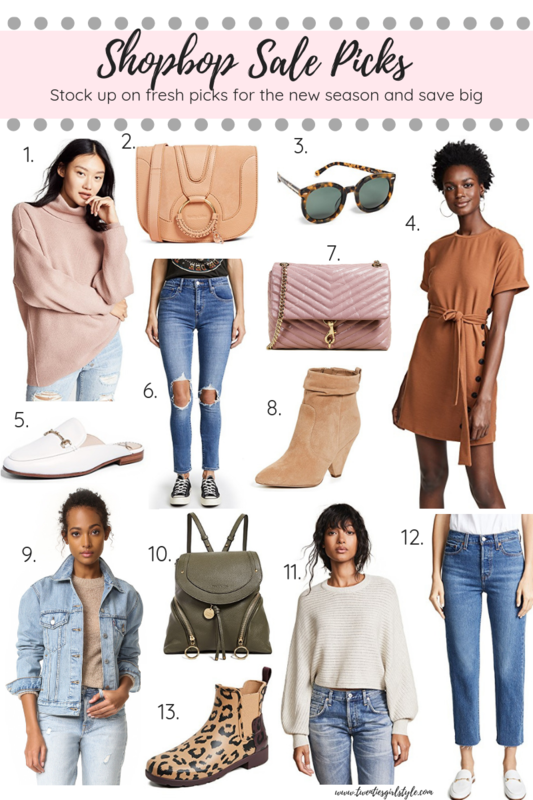 One of the BEST sales of the year is here and as the weather continues to get colder, there is no better time to stock up on fall and winter pieces! I’ve been perusing the Shopbop fall sale, looking for new handbags, booties, sweaters and scarves nd my wishlist continues to grow longer and longer. There are so many fabulous deals on the site!! Now is the best time to snag that designer piece you’ve been eyeing (hello Karen Walker sunnies!) or splurge on a great pair of denim! Get the details and the items I am eyeing below! Love all of your picks, especially the pink quilted RM bag!